The NFL will break with tradition in its 100th year following the announcement that the reigning Super Bowl champions will not host the opening game of the new season. The league has confirmed that the two teams with the oldest rivalry – the Chicago Bears and Green Bay Packers – will face each other for the 199th time on Thursday, September 5, at Soldier Field in Chicago. The New England Patriots’ opening game will take place three days later as the first Sunday Night Football primetime fixture of the new campaign. Their opponents will be confirmed at a later date. 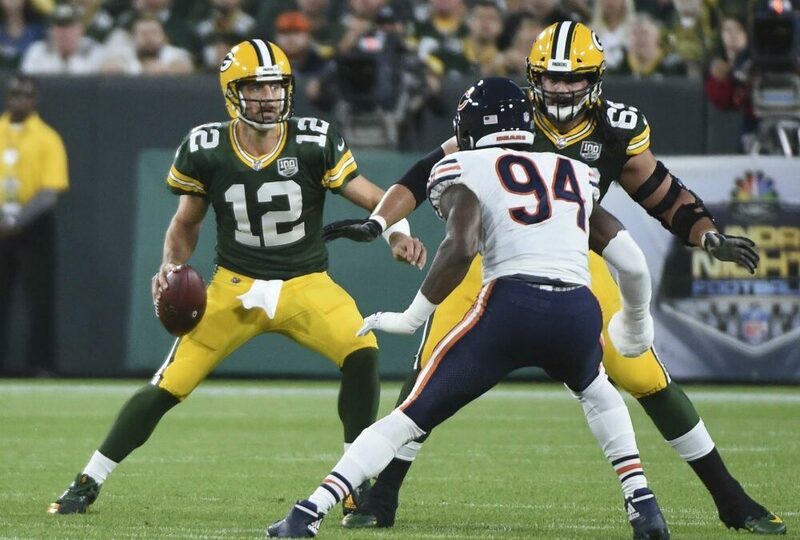 There will be plenty of punters visiting the fastest payout sportsbook to wager on the Bears versus Packers game, with both sides boasting a storied history in the NFL. The two sides enjoyed differing fortunes in NFC North last season, with the Bears performing best of the pair by a clear margin. A 12-4 regular season record took the Bears through to the play-offs, but they were edged out 16-15 in the first round by Philadelphia Eagles. Green Bay won just six of their 16 games last term to finish third behind the Bears and Minnesota Vikings in NFC North and they will hope for better fortunes in the league’s centenary year. The 100-year anniversary is a hugely important one for the NFL and is one which will be marked in numerous ways throughout the upcoming campaign. The Bears were the first team to announce that they are going to have an alternate uniform for the occasion and many more are expected to follow suit in the coming weeks. The NFL has said it plans to honour the 13 communities that were home to the 14 teams of its inaugural season, with Chicago included in that number. Celebrations in these markets will showcase each town or city’s history alongside fans, NFL legends, celebrities and elected officials. The NFL Draft in April will also be used to mark the anniversary, with eight “original towns” outside of the 32 current NFL markets scheduled to host live telecasts to announce picks on the third day of the draft. The NFL Foundation has also got in on the act by agreeing to fund the installment of a new artificial turf field in the city of Dayton, Ohio. The field will commemorate the first game, played in Triangle Park between the Dayton Triangles and Columbus Panhandles back in 1920. Originally known as the American Professional Football Association, the league was rebranded as the National Football League for the 1922 season.